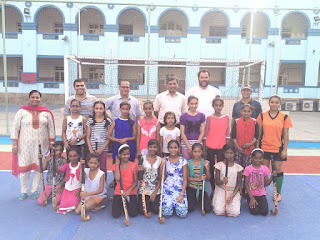 MUMBAI, JUN 20, 2016: The Don Bosco Development Society and the Don Bosco International School, Matunga in joint collaboration started hockey coaching for poor girls from the slums on June 16, on the school astro turf. 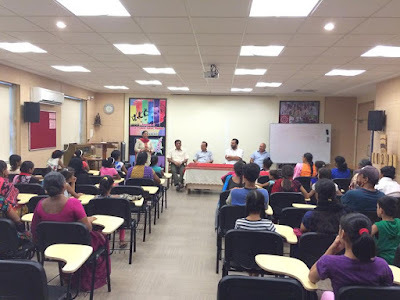 Around 25 girls from the slums of Wadala, Matunga and Kings Circle, aged 8 to 12 years, haven been chosen for the coaching. This is a grassroots initiative, with the aim of making them international level players. The programme began in the Provincial house at 4.30 pm. 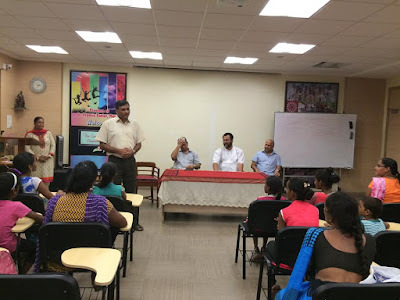 Fr Savio Silveira (Vice Provincial & Director of International School) addressed the gathering, especially the parents of the young girls, encouraging them to be committed to this unique opportunity. 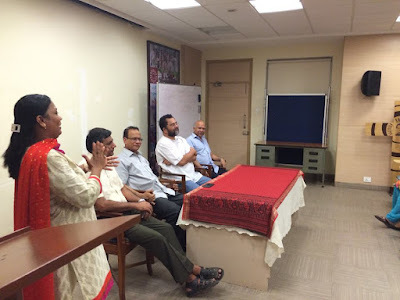 He also emphasised the objective of the coaching, "To produce quality players for the national team of India." He further elaborated that the team is working towards making the girls international players one day. The other dignitaries present were Fr Elson Barretto (Provincial Economer), Fr Glen (Rector of provincial house) and Fr Joaquim Fernandes (Director of Tej – Prasarini). The coaching will be conducted by professional coaches from Monday to Friday at the astro turf. Rekha Yadav - whose daughter has been selected for the programme- said, "One day I want to see my daughter playing hockey on the television." 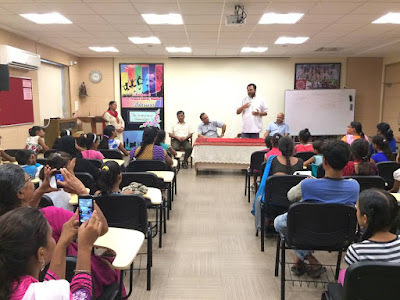 The parents and the girls expressed their gratitude to the Salesians of Don Bosco for this golden opportunity.